Customer Welcome Campaign – Partner Edition: Every new Palo Alto Networks customer gets a series of onboarding content to ensure the successful install, deployment and use of our technology and subscriptions. You can now augment this customer experience with the partner edition of our Customer Welcome campaign. Forrester Webinar, Proving the Business Value of Traps: Register today for this November 30, 2017 webinar. And don’t forget to invite your customers too. Meet the Palo Alto Networks PA-5260: Do you have customers that are consolidating data centers, perhaps moving to the cloud or are looking to securing encrypted data? The PA-5260 offers mutual customers the right balance of performance, capacity and prevention. Learn more. 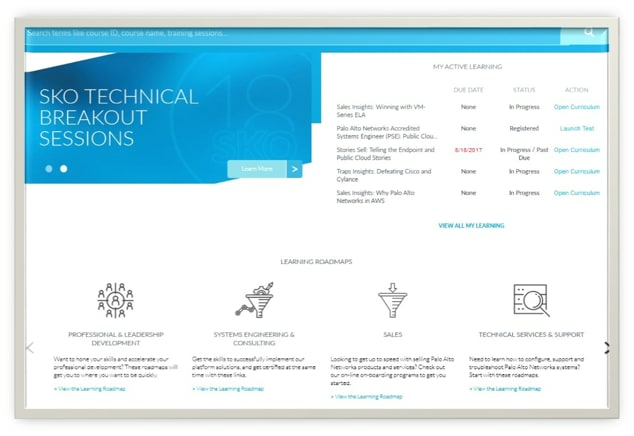 Partner Learning Center Redesign: We’re striving to make the training you need easier to find. Visit the new Partner Learning Center and respond in the comment section below with your feedback. Q2 FY18 NextWave Huddle: We offer two different sessions of our quarterly partner webinar hosted by Palo Alto Networks SVP, Worldwide Channels, Ron Myers. APAC and Japan webinar: Thursday, December 14 at 7PM PST / December 15 at 12PM JST and 11AM GMT. Go to the events page on the Partner Portal to register. The post Channel Scoop: November 17, 2017 appeared first on Palo Alto Networks Blog.